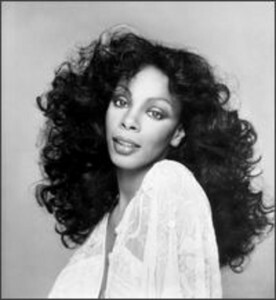 Donna Summer, singer and disco dance queen, passed away yesterday at the age of 63. Summer flourished during the ’70’s and early ’80’s, where she rode the crest of the disco wave and reigned supreme. The embodiment of the term disco diva, Summer inspired countless young artists for decades. The Grammy award winning singer finally succumbed to cancer. She is survived by her husband, three daughters, and four grandchildren. Eyah, she was a goddess ǿſ music. Ђer unconditional love song stl ringin in мƔ head, Ɣ☺u wil live forever in мƔ memory. Rip Donna.